Material Handler To perform one or more of the following; Forklift operator moving material between work stations, grinding, sandblasting, painting parts, cleaning parts. Machine Operator Operates or tends one or more of any variety of machine tools such as lathes, drill presses, milling machines, grinders or special purpose machines to machine or form metal work pieces to specifications on a production basis. Order Fillers Warehouse worker preparing customer orders for shipment. Load and unload trucks, must learn parts descriptions and warehouse locations. Press Operator To set up and operate hydraulic or mechanical press to form fittings. Cutter Operator To set up and operate shear, saw, cut-off machines or flame cutter in order to cut raw material to size and maintain traceability of heat codes. 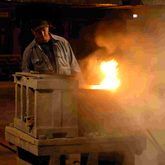 Drawbench Operator Set-up and operates hot forming presses to hot form elbows. Mandrels, furnaces, measuring tools, sizing press and dies, optical pyrometers. Maintenance Mechanic To inspect, service, maintain and repair all mechanical and electrical equipment throughout the plant. To install, replace, or relocate equipment as required. To handle minor electrical problems and be able to run all maintenance department shop tools. Electrical Technician Inspect, repair, install and wire all electrical or electronic apparatus, devices, and circuits of any voltage in or out of the plant. 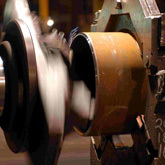 Service Machinist To produce metal parts and components. 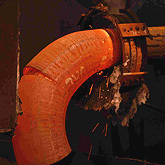 Uses equipment of substantial complexity requiring a masterly knowledge of fabrication techniques. Warehouse Worker Warehouse worker preparing customer orders for shipment. Load and unload trucks, must learn parts descriptions.